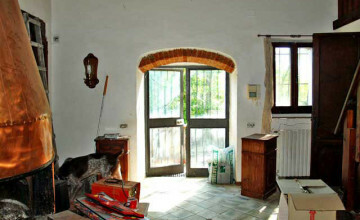 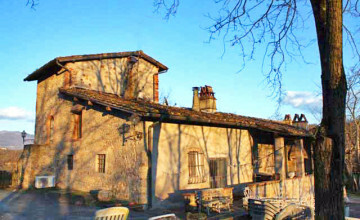 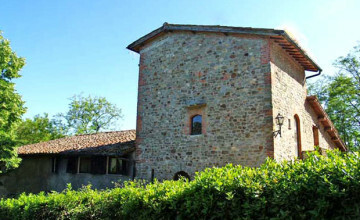 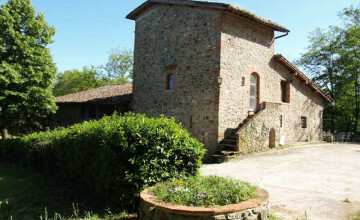 The main house dates back to centuries ago. 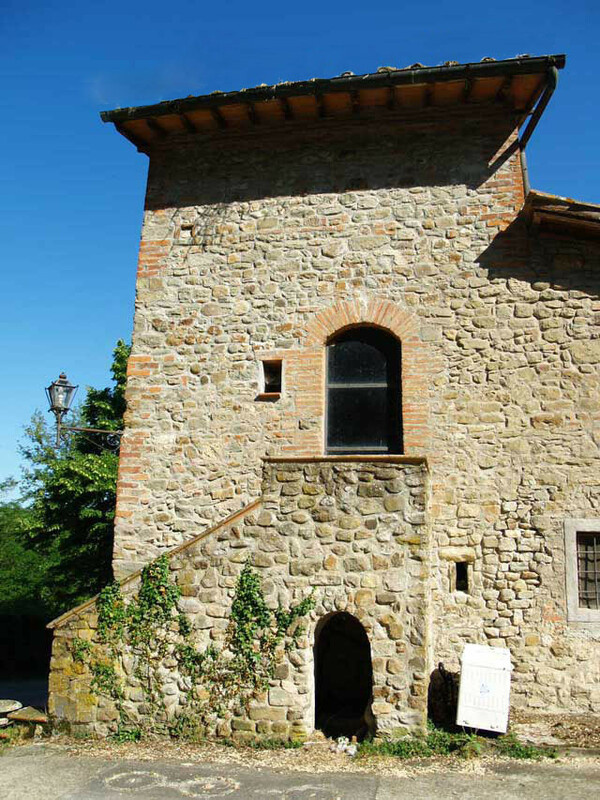 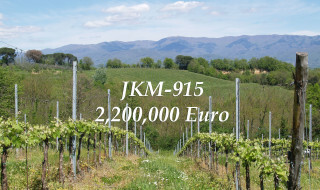 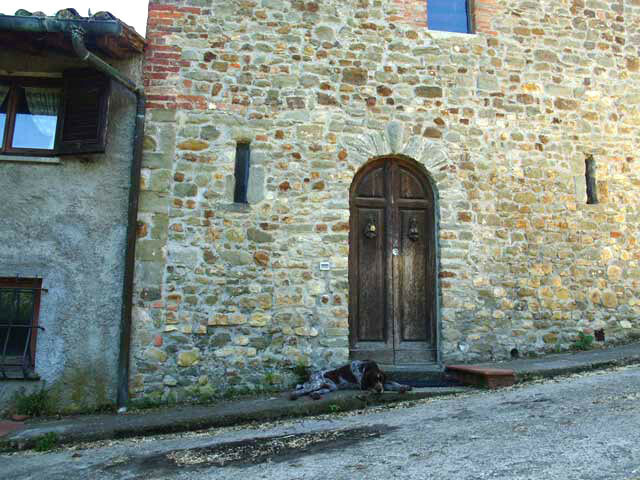 In Medieval town it was a castle owned by Franzesi della Foresta. 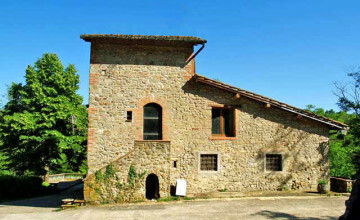 In the XVIIth century it became a convent. 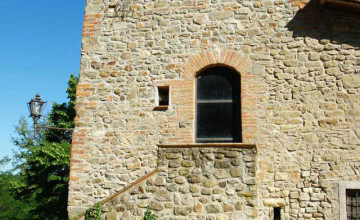 What remained from the original structure was totally restored, modified and extended in the eighties. 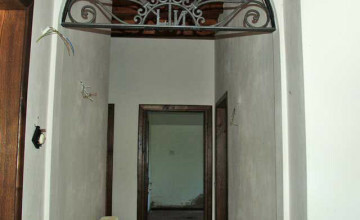 The new structure, measuring approximately 5800 ft² (500 sq.m.) 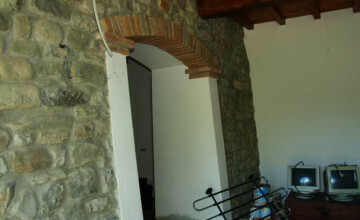 has been divided into four independent living quarters – two large apartments and two mini-apartments. 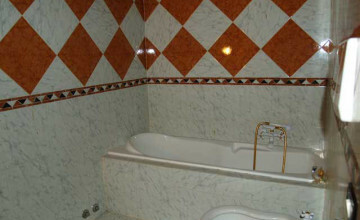 The owners live in the large apartment located on the upper level. 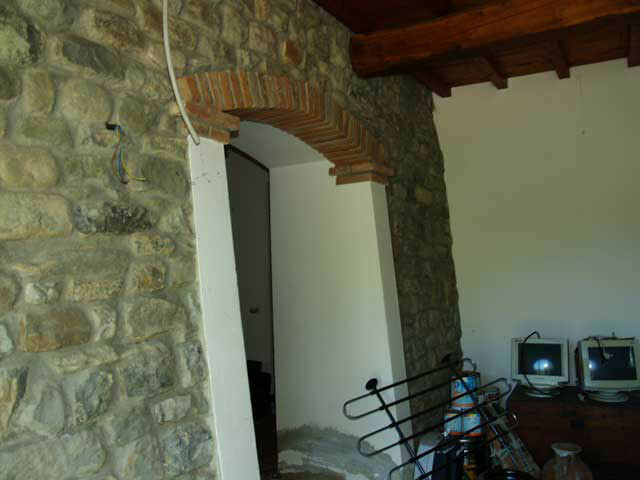 Internally it has been divided into an entrance, laundry room, guest bathroom, kitchen, and living room with original XVIIth century fire place, dining room, three bedrooms and a large bathroom. 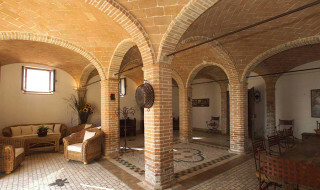 It features antique terracotta tiles, beamed ceilings, some original antique walls in stone and antique internal and external doors. 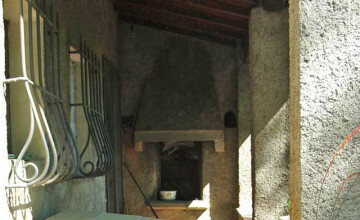 The rooms have both central heating and air-conditioning. 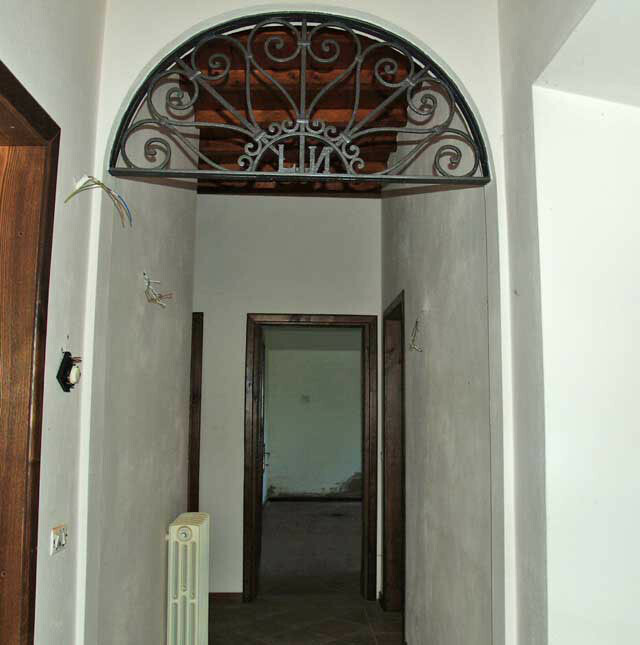 The second large apartment on the lower level has been restored/rebuilt ten years ago never used. 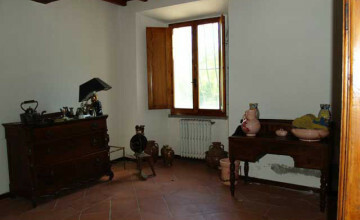 It features an entrance hall, sitting room with fire place, kitchen, two bedrooms and two magnificent bathrooms. 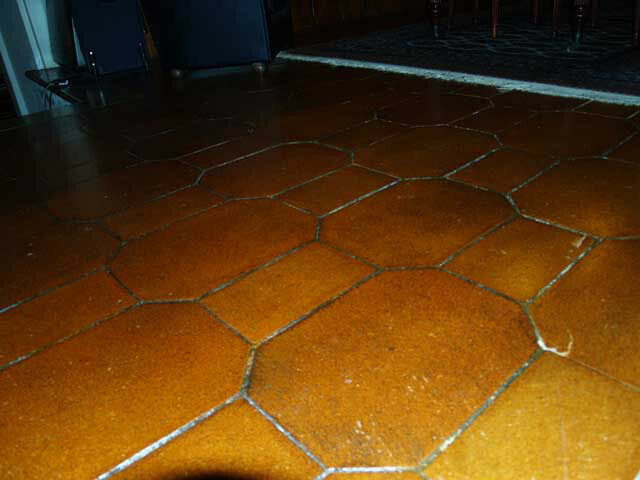 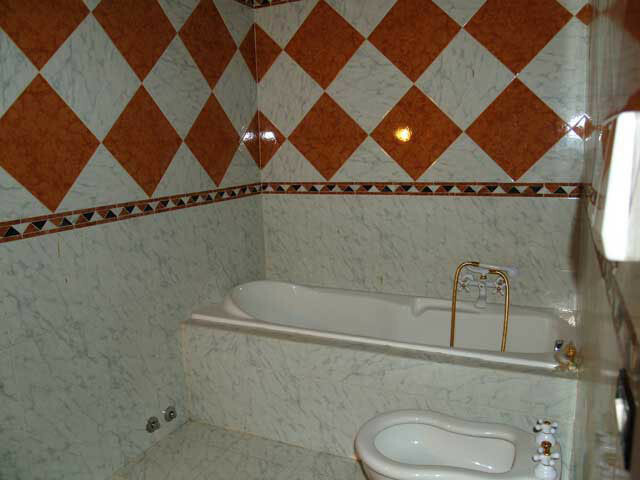 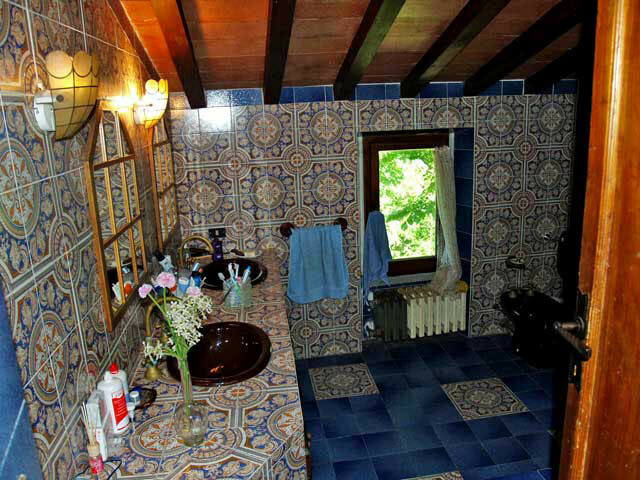 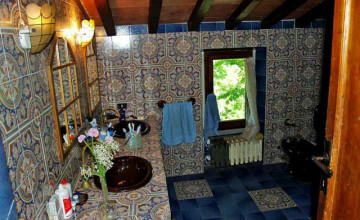 Also here the floors are in terracotta, while the bathrooms are decorated with tiles from Amalfi. 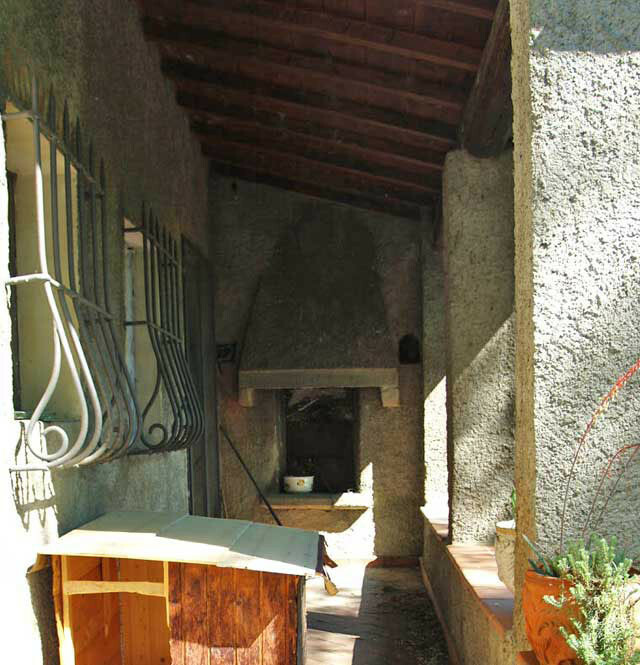 Both mini apartments are on two levels, with sitting dining room/kitchenette and bathroom on the ground floor and large bedroom on the upper level. 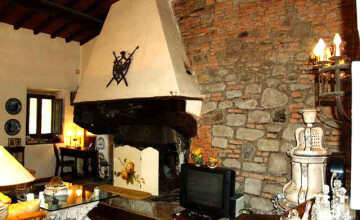 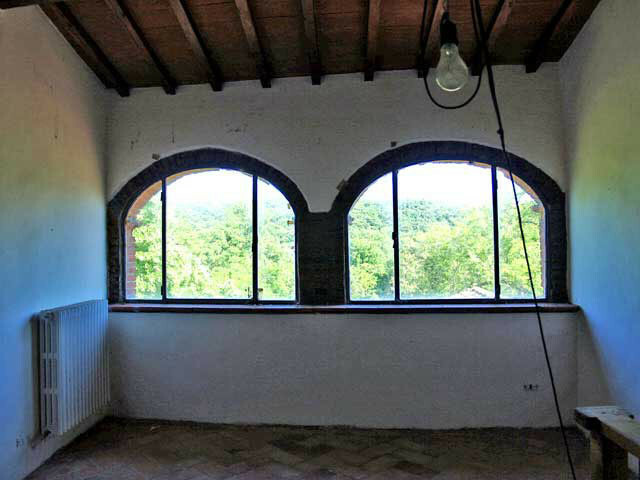 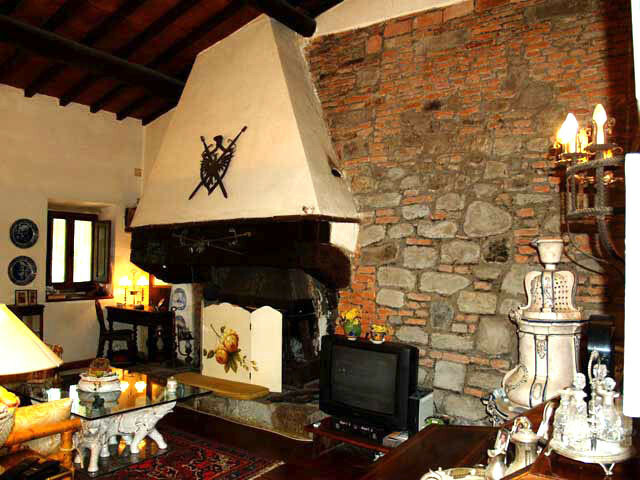 The unit occupying the antique tower is particularly charming, while the other one features an original fire place and is equipped with air-conditioning. 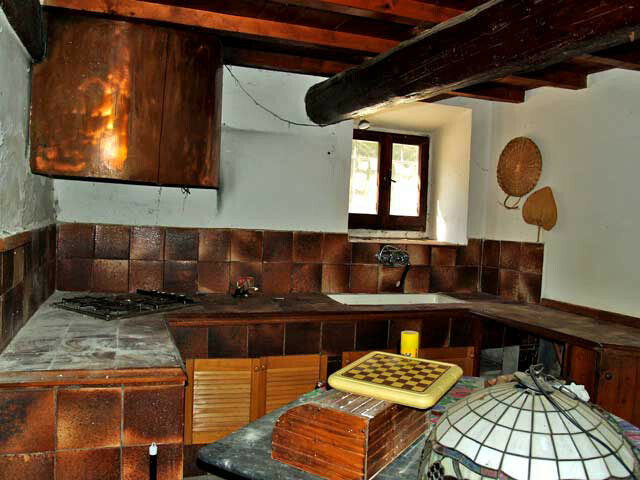 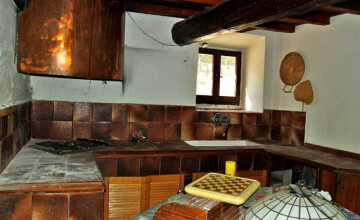 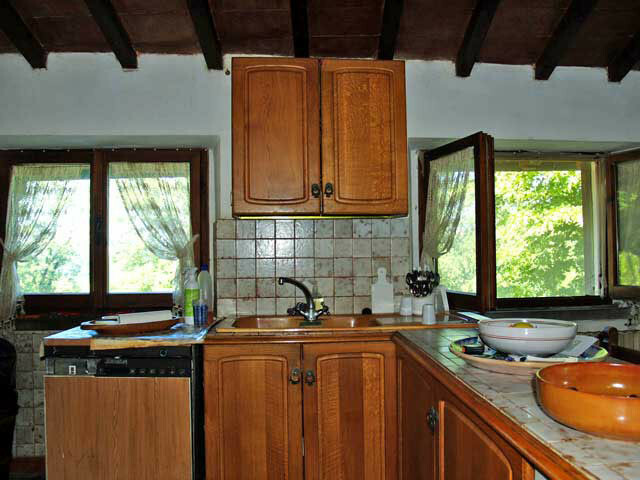 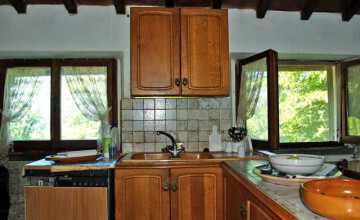 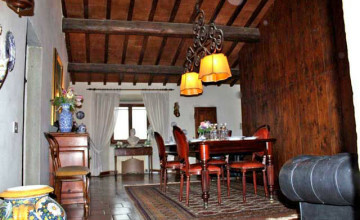 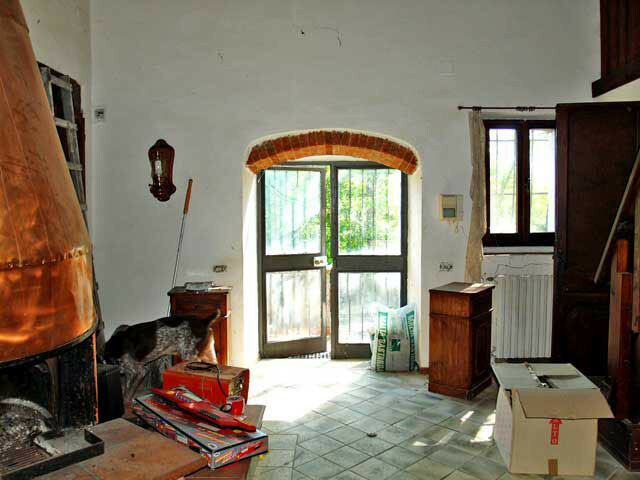 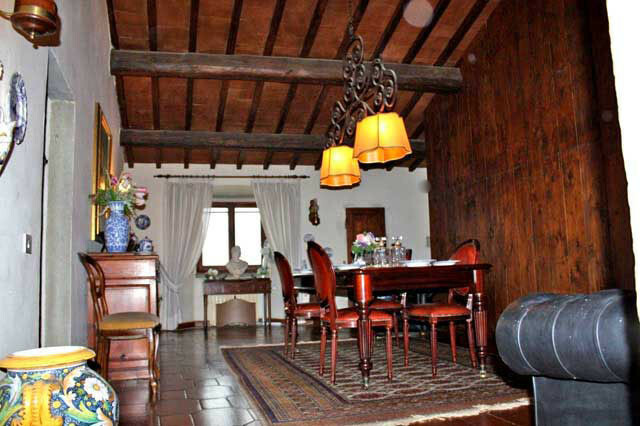 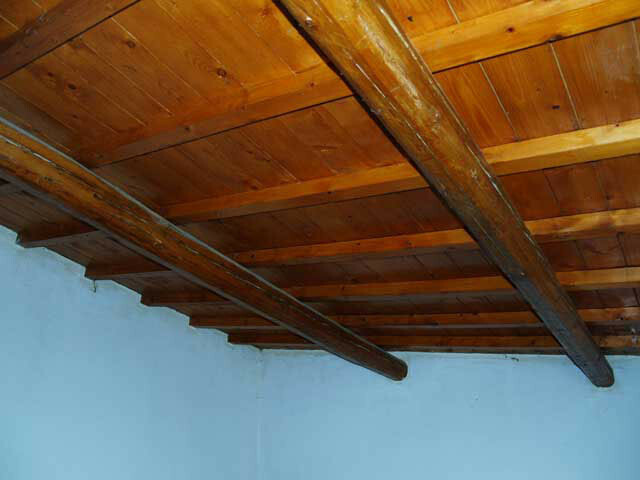 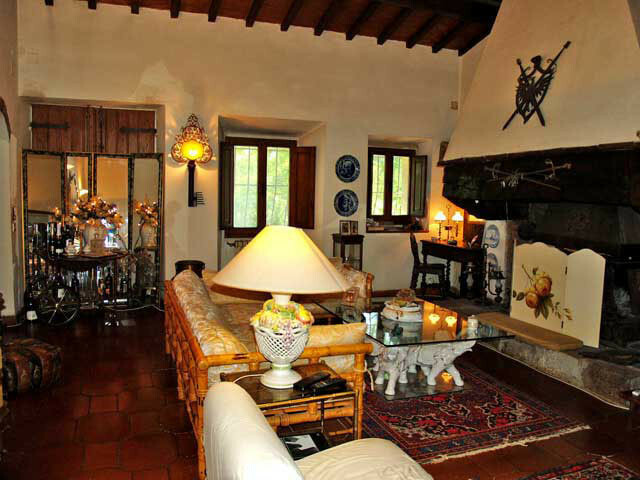 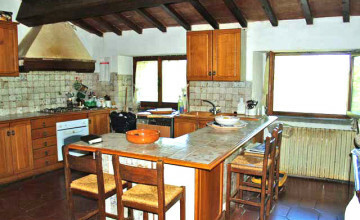 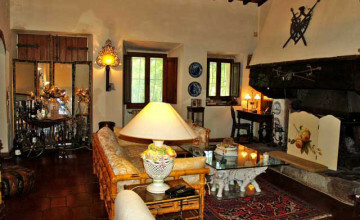 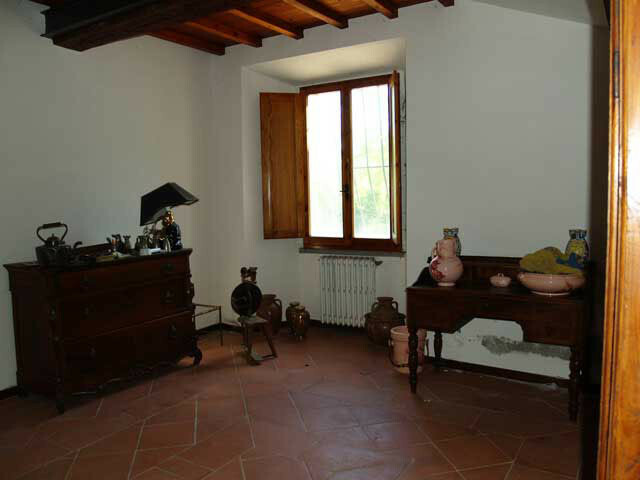 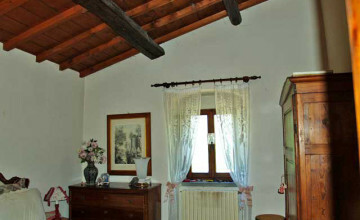 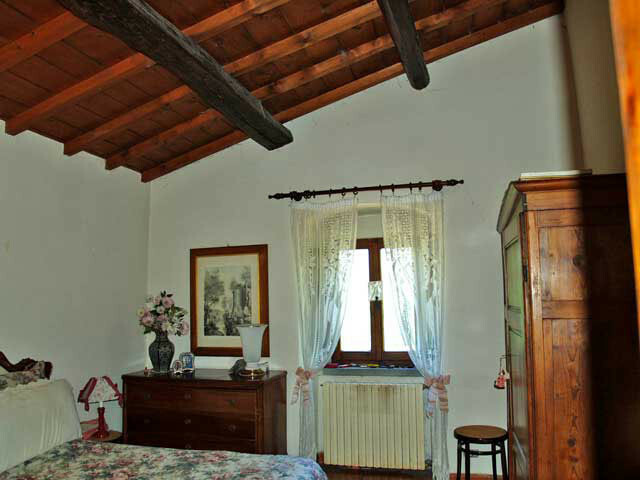 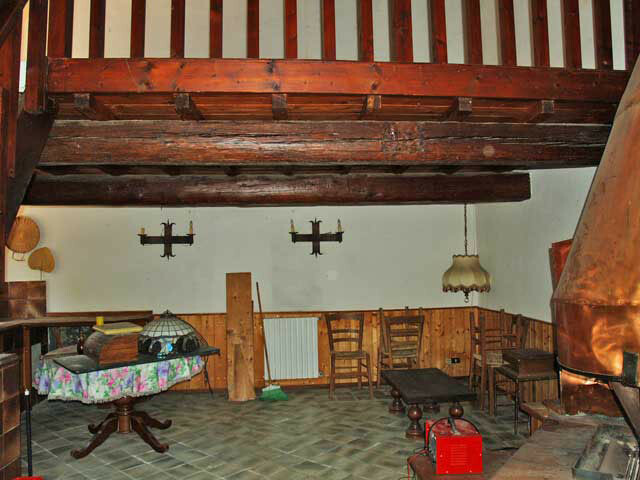 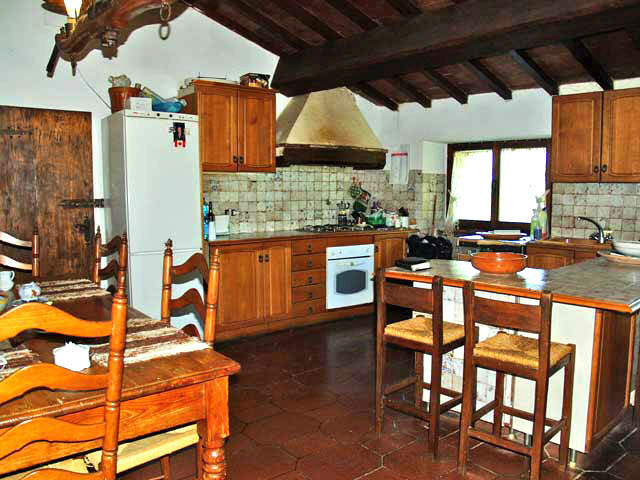 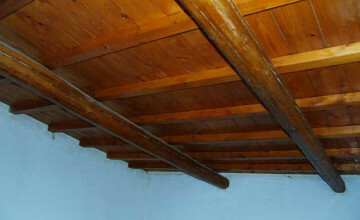 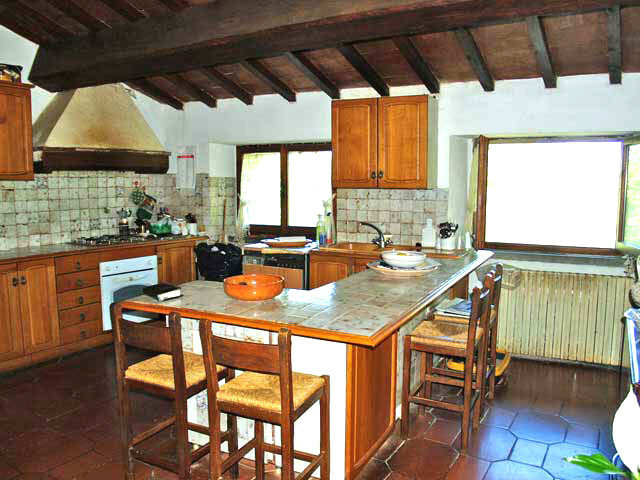 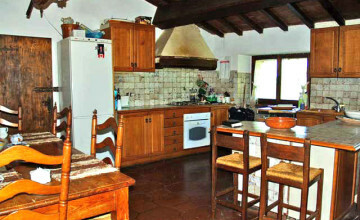 All rooms have ceilings in wooden beams and either terracotta bricks or wooden panels. 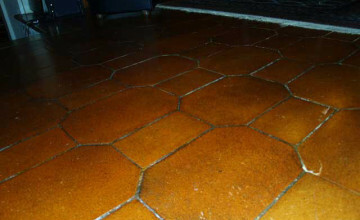 Flooring is of best quality. 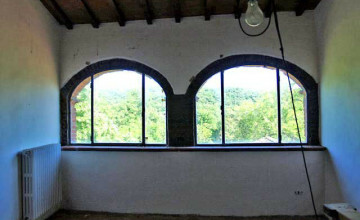 All windows are in wood with double glazing. 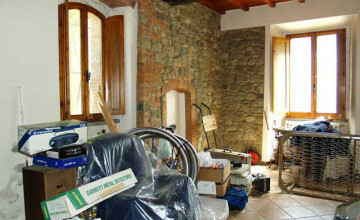 Heating is provided by a new pellet burner – easy to run and economic. 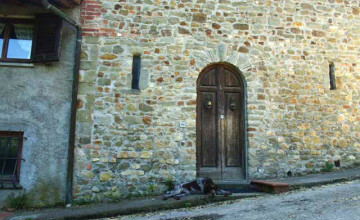 Each unit has an entry phone connected with the automatic gate at the entrance. 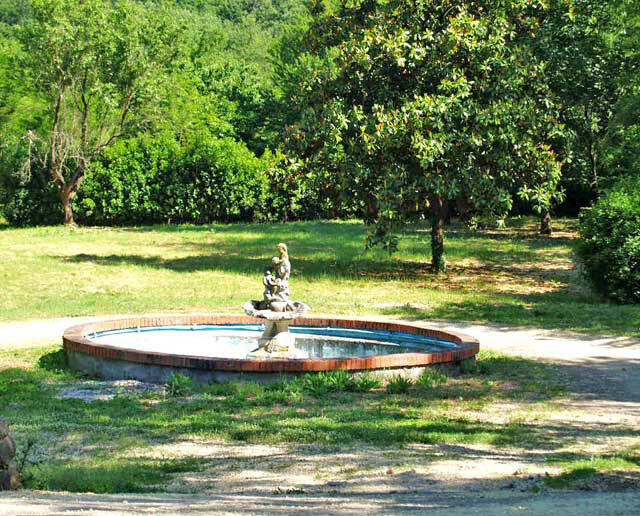 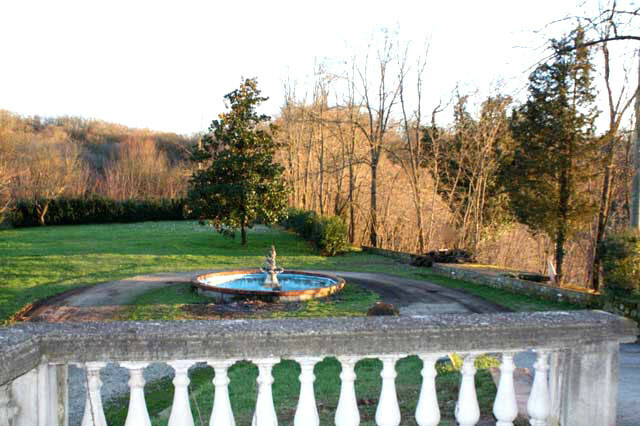 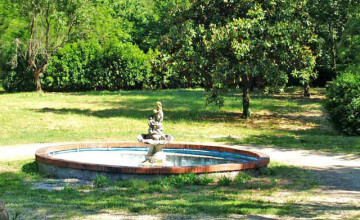 There is a beautiful lawn with an elegant and illuminated fountain in front of the house. 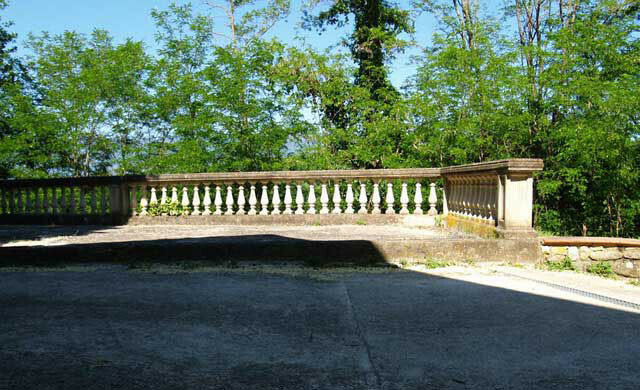 A panoramic terrace was set up above the large garage along the driveway. 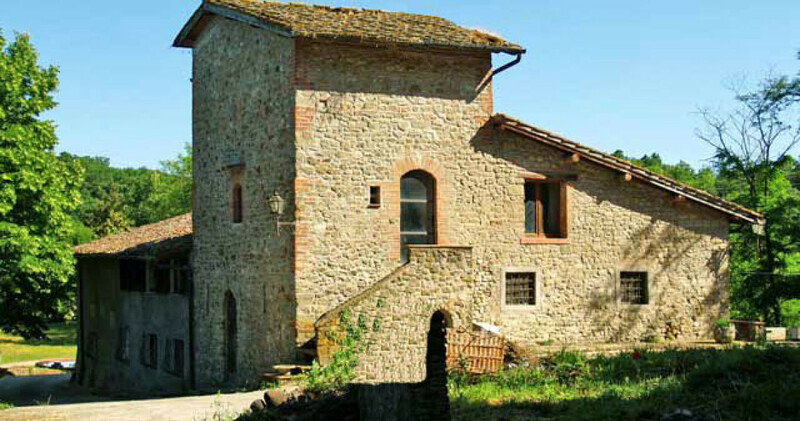 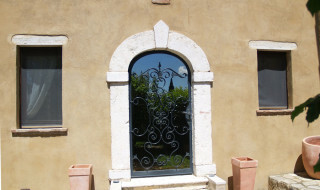 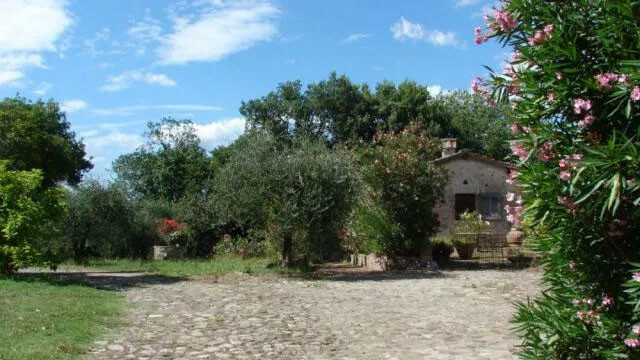 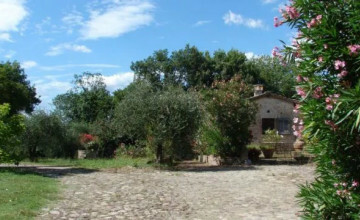 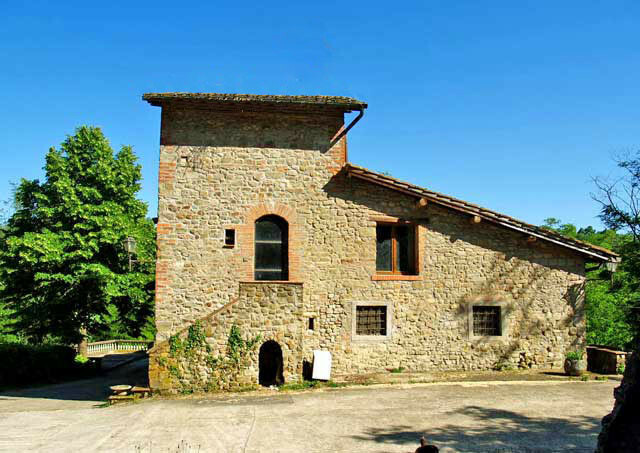 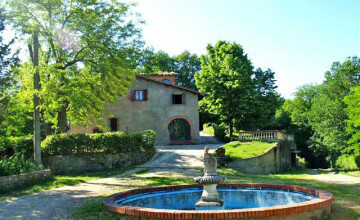 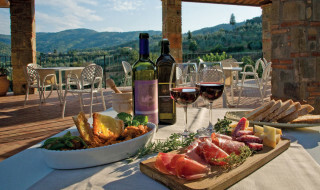 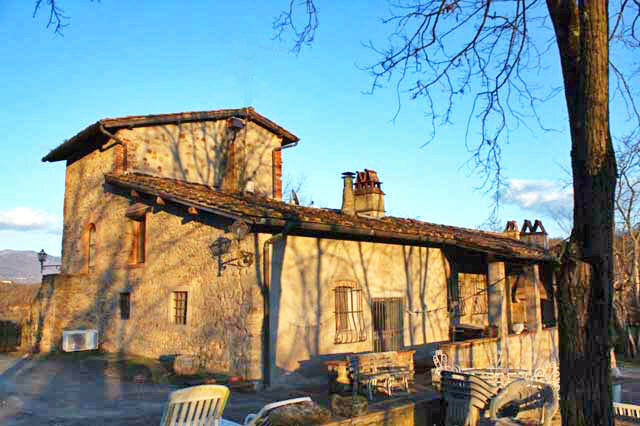 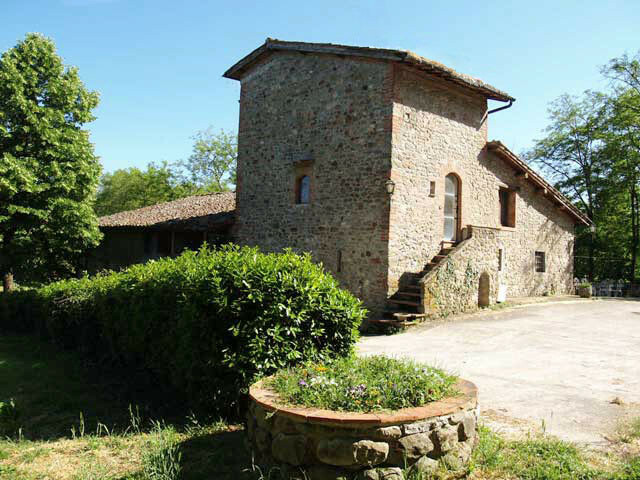 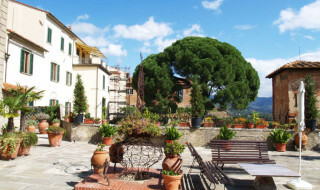 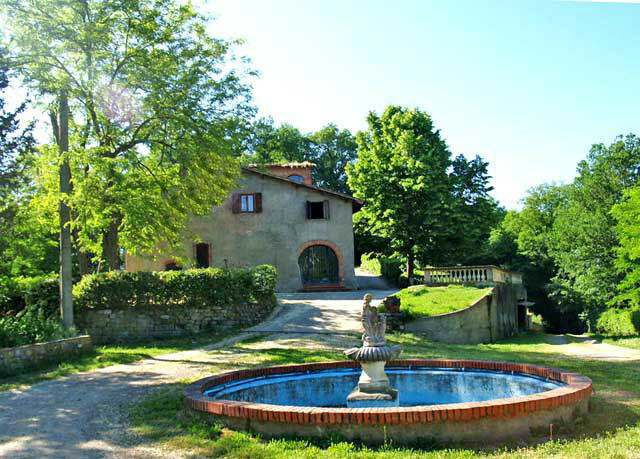 A loggia with a pizza oven and another terrace complete the surrounding of the house, each one of them offering spectacular views of the Tuscan landscape. 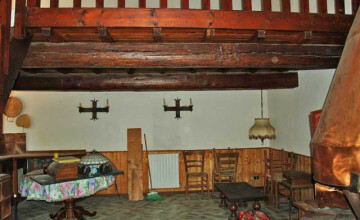 The old barn, partially collapsed stands near the main house. 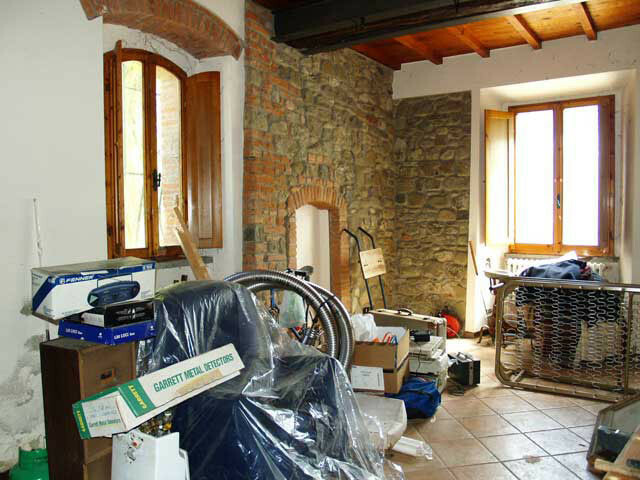 It used to be a two storey structure and the existing and documented volume can be transformed into another living quarter. There are ruins of the antique defence walls and entrance gates visible among the vegetation of the surrounding forest.